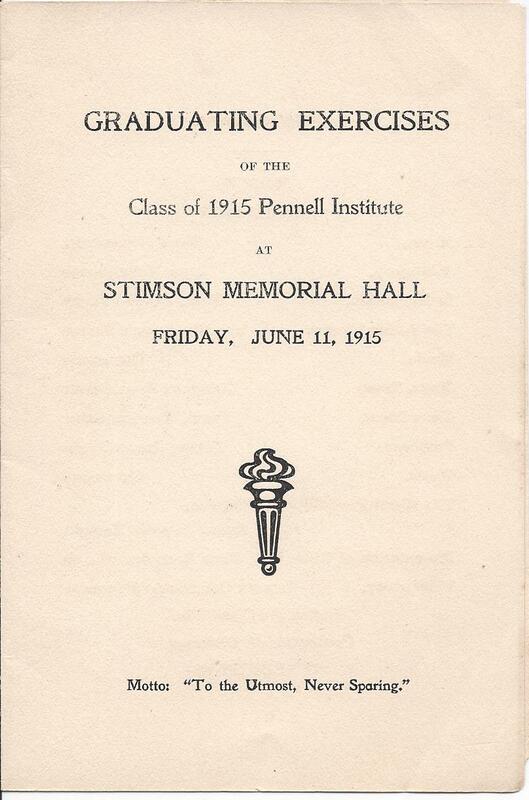 Graduation Program for the Class of 1915 of Pennell Institute at Stimson Hall in Gray, Maine, on Friday, June 11, 1915. 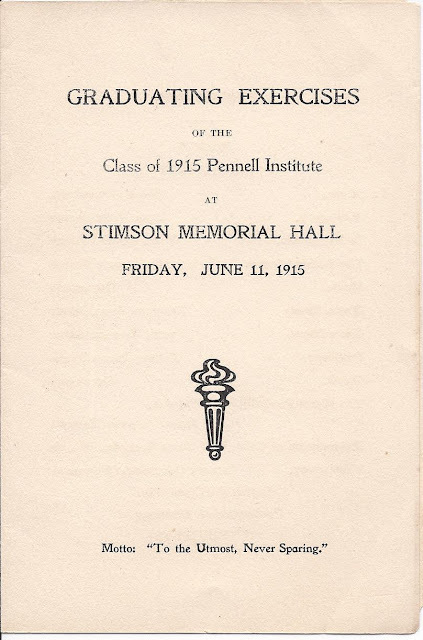 Motto: "To the Utmost, Never Sparing"
Note: See a 1925 Pennell Institute graduation program here. While his eyes hold a pleasure twofold. Are sweeter than those far behind. 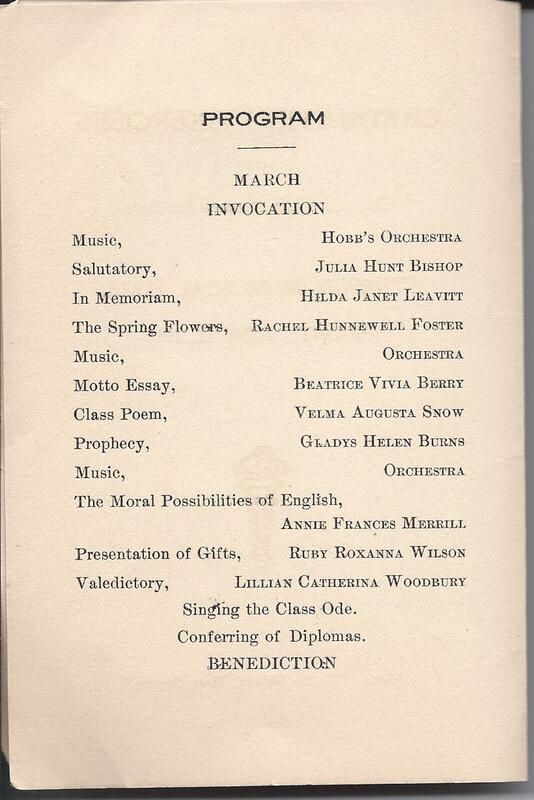 As holy as ever he trod. Our hope on the silver lined cloud. And it brings the sad word we must tell. 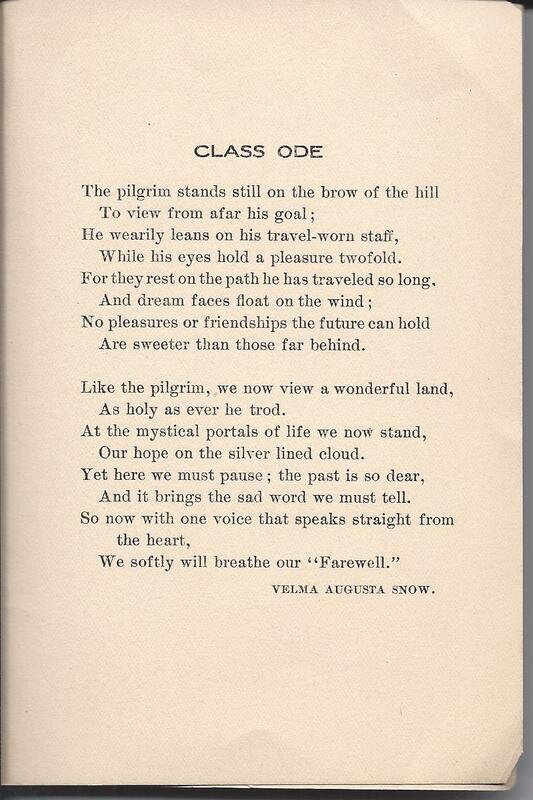 We softly will breathe our "Farewell." REUNION THIS YEAR IS JULY 28, HOPE TO SEE SOME OF YOU.